*I was having a horrid week but after receiving this ARC in the mail, it definitely made me smile. This is one of my most anticipated books of 2011 and thanks to LibraryThing's Early Reviewer program, I am able to read it early. Goodreads says, "It's been three years since the devastating accident ... three years since Mia walked out of Adam's life forever. Now living on opposite coasts, Mia is Julliard's rising star and Adam is LA tabloid fodder, thanks to his new rock star status and celebrity girlfriend. When Adam gets stuck in New York by himself, chance brings the couple together again, for one last night. As they explore the city that has become Mia's home, Adam and Mia revisit the past and open their hearts to the future - and each other. Told from Adam's point of view in the spare, lyrical prose that defined If I Stay, Where She Went explores the devastation of grief, the promise of new hope, and the flame of rekindled romance." *This is another book that I am excited to read in 2011. Time travel, romance and the Gilded Age? Yes, please! Goodreads says, "When tragedy strikes Michele Windsor’s world, she is forced to uproot her life and move across the country to New York City, to live with the wealthy, aristocratic grandparents she’s never met. In their old Fifth Avenue mansion filled with a century’s worth of family secrets, Michele discovers a diary that hurtles her back in time to the year 1910. There, in the midst of the glamorous Gilded Age, Michele meets the young man with striking blue eyes who has haunted her dreams all her life – a man she always wished was real, but never imagined could actually exist. And she finds herself falling for him, into an otherworldly, time-crossed romance. Michele is soon leading a double life, struggling to balance her contemporary high school world with her escapes into the past. But when she stumbles upon a terrible discovery, she is propelled on a race through history to save the boy she loves – a quest that will determine the fate of both of their lives." *Thanks to Disney Publishing for sending me this one to review. I can't wait to read it! Goodreads says, "Jane, Victoria, and Natalya. Together, they are the Darlings. Best friends forever. They have matching necklaces, their own table at Ga Ga Noodle, and even a shared motto: May you always do what you’re afraid of doing. When the friends begin freshman year at three different high schools in distant corners of New York City, they promise to live by their motto and stay as close as ever. The Darlings know they can get through anything as long as they have each other. But doing scary new things is a lot easier with your friends beside you. And now that the girls aren’t spending all their time together, everything they took for granted about their friendship starts to feel less certain. They can’t help but wonder, will they really be the Darlings forever?" *I immediately downloaded this book to my Nook. Anything that deals with P&P always peaks my interest. Plus, I enjoyed her last novel, The Lonely Hearts Club, which was fun chick-lit at its best. Goodreads says, "After winter break, the girls at the very prestigious Longbourn Academy become obsessed with the prom. Lizzie Bennet, who attends Longbourn on a scholarship, isn’t interested in designer dresses and expensive shoes, but her best friend, Jane, might be — especially now that Charles Bingley is back from a semester in London. Lizzie is happy about her friend’s burgeoning romance but less than impressed by Charles’s friend, Will Darcy, who’s snobby and pretentious. Darcy doesn’t seem to like Lizzie either, but she assumes it’s because her family doesn’t have money. Clearly, Will Darcy is a pompous jerk — so why does Lizzie find herself drawn to him anyway? Will Lizzie’s pride and Will’s prejudice keep them apart? Or are they a prom couple in the making? Whatever the result, Elizabeth Eulberg, author of The Lonely Hearts Club, has concocted a very funny, completely stylish delight for any season — prom or otherwise." I am looking forward to Timeless- hope you enjoy! 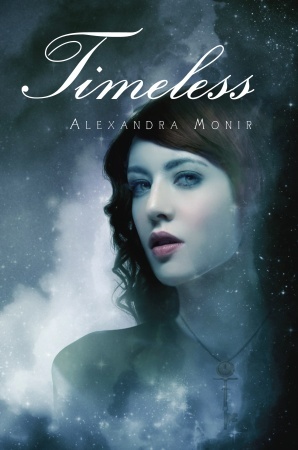 I can't wait to read Timeless. It sounds fantastic. I need to read If I Stay so I can get to Where She Went. I'm supposed to read it for an ARC tour. I loved The Lonely Hearts Club and really want to read Prom & Prejudice too. I look forward to your reviews of these! I got Timeless too.I've read a bit and loving it so far! What a great week to get mail!!! I think you will enjoy Timeless. I thought it was a really sweet story! And all the other ones look great too. I haven't read Gayle Forman's series yet, but I really want to read If I Stay and Where she Went. They sound beautiful! Ohh lucky you getting Where She Went! I haven't read If I Stay but heard it's fantastic, so I hope you enjoy book 2! 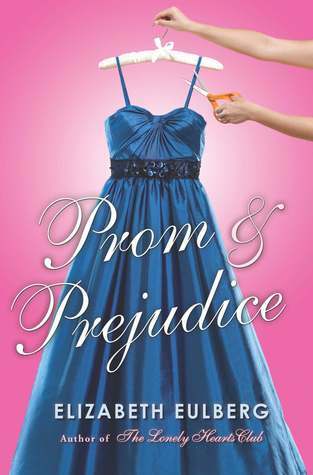 I really want to read Prom & Prejudice as well, I love that story and enjoy reading updated and modern versions of it:) Enjoy all your books Christina! Great mailbox this week. 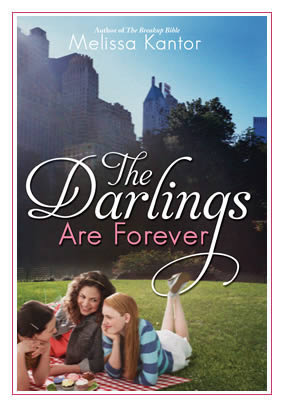 The Darlings are Forever looks like a fun and cute book I keep seeing it everywhere. I´m looking forward to your review for it. Enjoy! Great IMM! 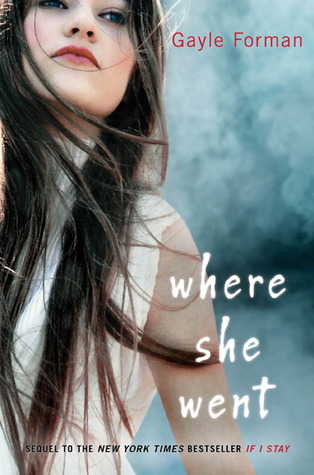 I can't wait to read If I stay and then get Where she went! Please, if you have time, check out my blog? oh wow, where she went already?? i just ordered if i stay!! Great mailbox! I love the sound of the plot for Timeless, time traveling books are so much fun. I hope you enjoy all of your books!